My camera image is displayed backwards (what’s on the right shows up on the left side of the screen). Access the installers on screen menu and change the LCD 1 setting by pressing the up ▲ or down ▼ arrow buttons on your remote from where it is currently. Did the image change? Note: When using a multi camera controller there will be LCD 00001 through LCD 00005 settings. This allows each camera position to be changed independently. See additional information below or you Operators Guide for further information regarding your software version. Done Contact your INTEC Service Rep. They may ask you to return your display for service. Image orientation reversal is not available in display software versions prior to 2.3.0 when used with a single camera controller. For single camera controllers using display software version 2.3.0 and newer you can access the Installers Menu by pressing the MENU and ▲ (up arrow) buttons on your remote at the same time. Once you’ve accessed the installers menu keep pressing the menu button until you come to LCD 1 REV NOR. 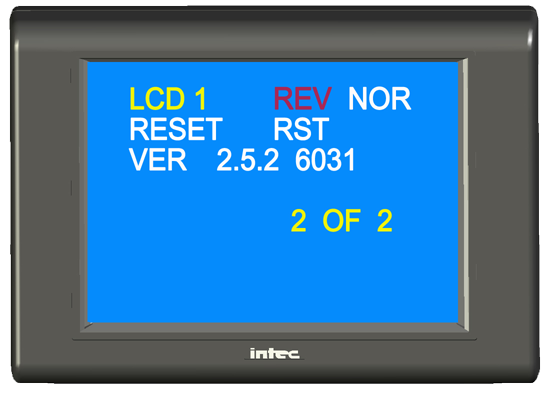 For multi camera controller using display software version 2.0.0F or 2.2.0 you can access the Installers Menu by pressing the MENU and CH5 buttons on your remote at the same time. Once you’ve accessed the installers menu keep pressing the menu button until you come to LCD00001 REV NOR. Note: If you’ve changed your camera position names those will be reflected here as well. 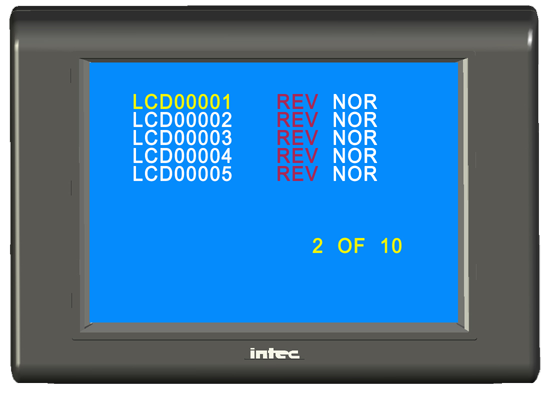 For example if you changed LCD00001 to REAR the menu will display REAR REV NOR. For multi camera controller using display software version 2.3.0 and beyond you can access the Installers Menu by pressing the MENU and ▲ (up arrow) buttons on your remote at the same time. Once you’ve accessed the installers menu press the CH2 button. There you will find LCD00001 through LCD00005 REV NOR. Note: If you’ve changed your camera position names those will be reflected here as well. For example if you changed LCD00001 to REAR the menu will display REAR REV NOR. Note: Image reversal is not field changeable for older CVM Series monitors. Please contact your INTEC Service Rep for additional information. Simply press the "Up" or "Down" arrow button for the desired orientation. Note: You cannot change the EXT input orientation.